If you are a Korean Beauty Enthusiast, I’m pretty sure that you are familiar with Korean 10 Steps Skincare Routine. So if you are wondering why Korean have a nice skin, this is their secret. They really make time for their skincare regimen. But we all know that not all people have the patience to do all the 10 steps and I’m one of them. Good news to everyone, Get It Beauty partnered with Althea Korea to create a new beauty ritual that will help those busy people to take care of their skin in less than a minute. AltheaKoreaXGetItBeauty Yes, you can have a healthy beauty life by using few skincare products. 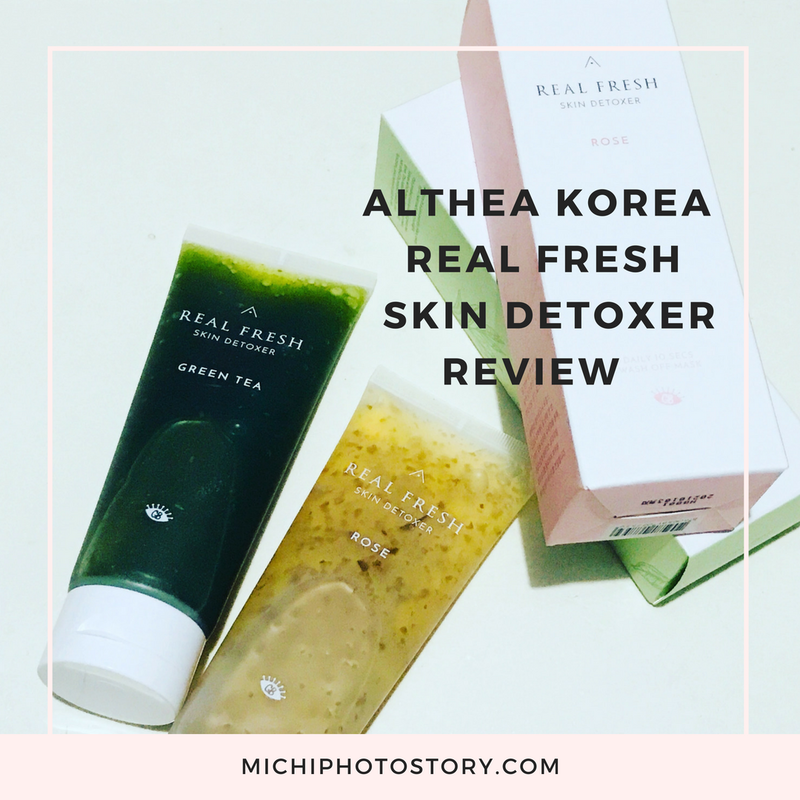 Introducing the Althea Korea Real Fresh Skin Detoxer, your 10-seconds wash-off mask. Yes, you’ve read it right 10 seconds only not 10 minutes. You can choose from Rose or Green Tea variant or better to use both so you can have a morning routine and evening routine. The Rose variant will help you in protecting and balancing the pH levels of your skin. It gently smooths the roughness and gives your skin a radiant glow so it is perfect for your morning routine. It contains premium May Rose that can be harvest once a year in Grasse, France. It is five times more effective in purifying your skin compared to a normal rose. 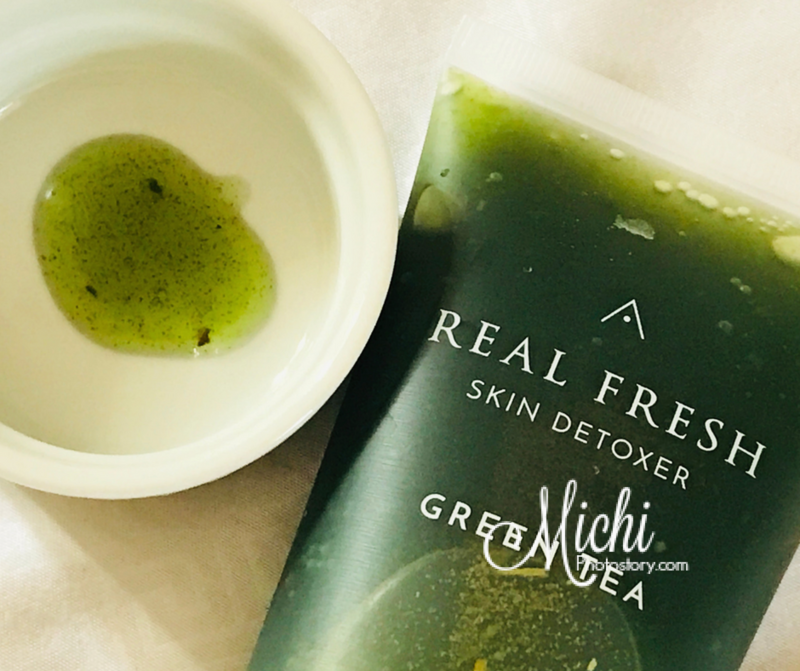 The Green Tea variant will help you to boost your skin’s natural regeneration process. It calms down and purifies your sensitive skin so it is perfect for your evening routine. It contains young green tea leaves from Jeju Island. The baby leaves have five times more vitamin C than the lemon so it is excellent in cleansing, soothing, and protecting the sensitive skin from UV damage. 1. Squeeze out a generous amount and apply onto dry skin. 2. Leave the product for 10 seconds then add a little bit of water and massage in circular motions with petal bubbles. Verdict: I only need a coin-sized amount and it is enough to cover my face. I’m not fond of flower scent but I’m glad because the scent of the rose variant is very mild. You can really see small pieces of rose and green tea leaves on skin detoxer. The product is easy to use, it really cleans your face without feeling dry after washing. Though there is a slight stinging sensation when I apply the skin detoxer on my face, I'm not sure if my skin is just sensitive but there is no redness after using this. Update: After using this for three weeks, my husband and friends noticed my skin. My skin looks younger daw. 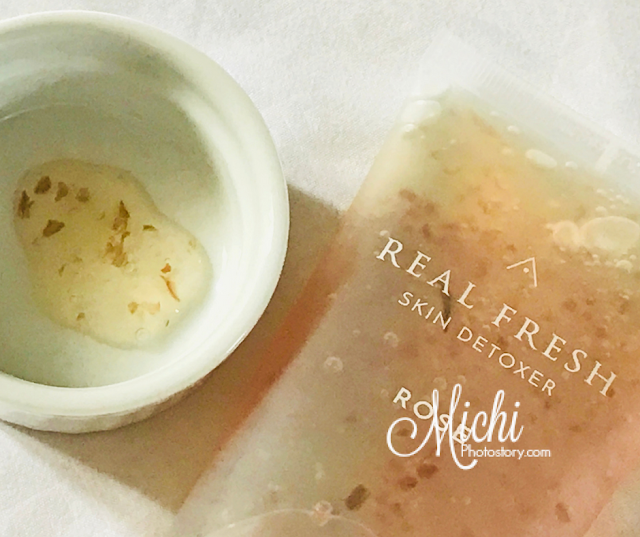 I'm happy with this skin detoxer because it lessens my pores and smoothens my skin. I only use this once a day, I just alternate the skin detoxer every day. Tip: Do not forget to record the opening date and use the product before it expires. Store in a cool and dry place, away from heat and direct sunlight. You can buy this at Althea Korea site for P550. If you haven't tried Althea Korea, use this link to get a discount, minimum of P1500 for your first order. *This post contains referral link/s. If you decide to make a purchase, I will earn a commission at no additional cost to you. Thank you for your support.